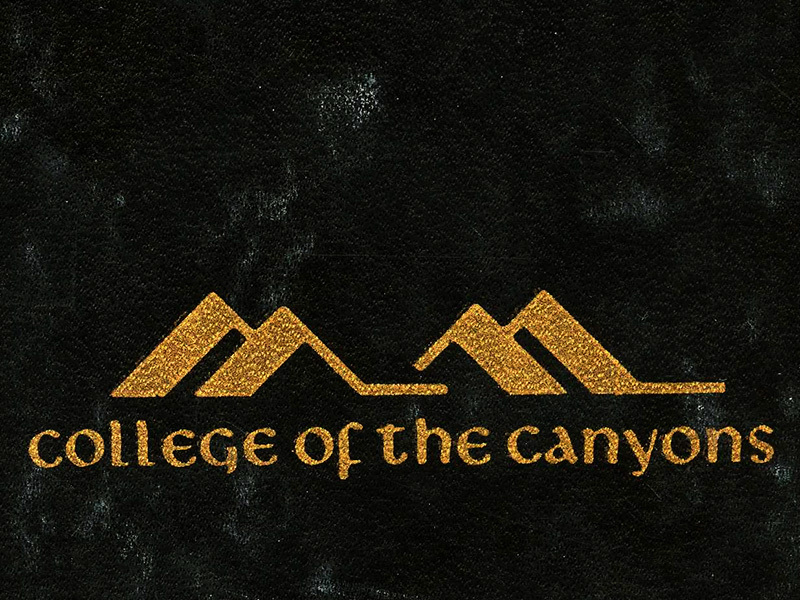 SCVHistory.com LW3061 | College of the Canyons | Program Book: Dedication of Permanent COC Campus, 10-26-1970. Dedication Ceremony of the Permanent Campus. Valencia, California | Monday, October 26, 1970. Program book, dedication of the permanent College of the Canyons campus in Valencia, signed by the keynote speaker, U.S. Sen. George Murphy. Prior to this time, classes were held on the Hart High School campus. College of the Canyons is most pleased to welcome you to this ceremony dedicating our new campus. It heralds what we believe will be an enduring and ever-growing association with the people of the Newhall-Saugus-Valencia community who caused this college to be created. The Santa Clarita Community College District was approved by an overwhelming vote on November 21, 1967. Last January — less than a year ago — district voters passed a $4 million construction bond issue. Preparation of this beautiful 160-acre campus site began last June. Erection of temporary buildings – classrooms, laboratories and administration quarters — began in mid-August, and classes started October 5. While students occupy temporary quarters, working plans for four permanent buildings have already been drawn. These four initial permanent structures, targeted for completion in time for the 1973-1974 school year, will accommodate 2,500 students. Ultimately, College of the Canyons will be enlarged to accommodate 5,000 full-time students. LW3061: pdf of original program book, collection of Connie Worden-Roberts. Download pages and pdf here.